Many folks know I love fantasy coins. I'm guilty of hoarding as many as I can from Dungeon Crate overstock. I love to give them to friends, family, and fellow gamers. 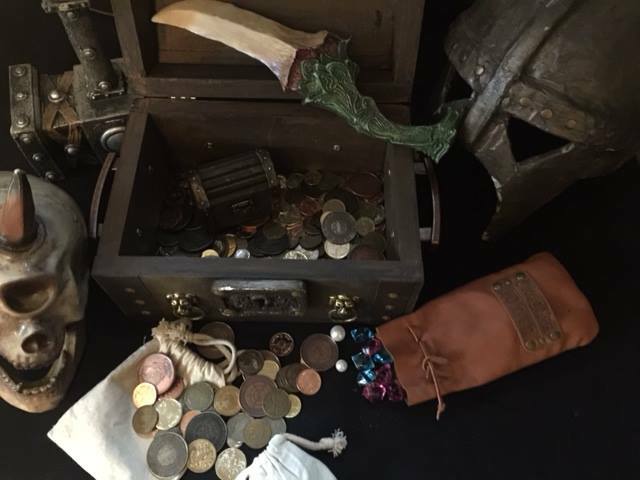 I give them to fighters I spar with in my longsword fencing club, and my players use coins to represent character wealth on their person. Artist and freelancer Rockstar Justin Andrew Mason did a blog on fantasy coins and so it was a no-brainer to get him on the show to talk about all the ways you can use fantasy coins in your game.